Las Vegas, NV -- The 137th running of the Preakness Stakes is on Saturday, May 19 at Pimlico, with Kentucky Derby winner I'll Have Another looking to win the second leg in horse racing's Triple Crown. As we get ready for Preakness betting, let's consider the post position history, prices and trainers to keep an eye on. The best post position in Preakness history is #6 with 15 winners starting from that spot. Right behind are post #4 and post #7 with 13 wins. Post #2, #3 and #5 have 11 wins each, while post #8 has 10 wins. The rail has a total of nine wins and none since 1994. The outside posts have very few wins in history, but it is worth noting that there have only been 11 starters or more a total of 37 times. 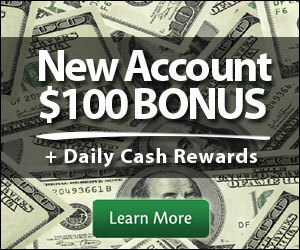 Bet the Preakness, get a horse racing rebate and a $100 signup bonus - Join OTB today! The Preakness Stakes is not the Kentucky Derby and it is not the Breeders' Cup so don't expect to see that many big prices. The Preakness is a race for favorites with short prices the rule. The 2012 Preakness will likely have a full field but you probably should throw out all of the horses listed with double-digit odds. Last year was an aberration with Shackleford winning at 12-1 odds. Before his win, you have to go all the way back to 1983, when Deputed Testamony won at odds of 14-1, for the last time a horse won the Preakness with double-digit horse betting odds. There are a lot of big name trainers who have horses in the Preakness, but it doesn't mean much. Bob Baffert has won three times since 2001, including two years ago with Lookin at Lucky. He would probably be the one trainer you could trust in this race and his horse, Bodemeister, could end up being the Preakness betting favorite. Steve Asmussen won this race in 2007 with Curlin and in 2009 with Rachel Alexandra, so he is another one to consider and he could have two horses in the race with Isn't He Clever and Hierro. As you bet on the Preakness on Saturday, May 19 at OffTrackBetting.com, keep in mind that horses coming out of the Kentucky Derby are the ones you want to be looking at. Rarely does a horse that didn't start in the Kentucky Derby end up winning the Preakness.